New Presidents' Day coupons from Dell have been featured on Bizwaremagic.com where shoppers can save up to 44% on select products. This Presidents' Day online shoppers can save up to 44% on select items - plus get a bonus tablet with the purchase of any PC priced at $499.99 or above. Bizwaremagic.com has just featured the latest Dell Presidents' Day coupons and offers where potential customers can save up to 44% on popular Dell products. Even more tempting, online shoppers can get a free tablet with the purchase of any PC priced at $499.99 or above. This current sale runs from 2/9/2015 to 2/20/2015 7:00am. Presidents' Day is celebrated on the third Monday in February and honors past presidents. It is also a time when many major computer manufacturers such as Dell offers great discounts or bargains. This year's laptop bargains include the following: save 42% off the Inspiron 17 5000 Series laptop with and Intel Core i5 processor, 8GB memory, 1TB hard drive and Windows 8.1 for around $549. Receive 44% off the Inspiron 15 3000 series touch notebook with an Intel Core i5 processor, 8GB memory, 1TB hard drive and Windows 8.1 for $579.99. In addition, bargain hunters can take 24% off the Inspiron 13 7000 Series 2-in-1 touch laptop with and Intel Core i5 CPU, 4GB memory, 500GB hard drive and Windows 8.1 for around $599 or get 38% off the Inspiron 15 5000 Series laptop with the Intel Core i7 processor, 8GB memory, 1TB hard drive and Windows 8.1 for $649.99. Desktop sale items include the following: save 24% off the Inspiron Small Desktop 3000 Series with the Intel Core i3 processor, 4GB memory, 1TB hard drive and Windows 8.1 which is priced at $379.99. Receive $270 off the XPS 8700 Desktop with the Intel Core i7 processor, 8GB memory, 1TB hard drive, NVIDIA GT 720 and Windows 8.1 for around $629 or get $650 off XPS 8700 special edition desktop with the Intel Core i7 processor, 16GB memory, 2TB hard drive, AMD R9, Blue-ray combo and Windows 8.1 for $949.99. Shoppers should keep in mind that some sale items may be limited, and shipping is provided at no cost on most items. They are also advised to see the official Dell site for all terms and conditions. As in previous years, Dell will more than likely be offering other computer deals during this Presidents' Day Sale so potential buyers should bookmark the Bizwaremagic.com site/page to get the most current discounts. 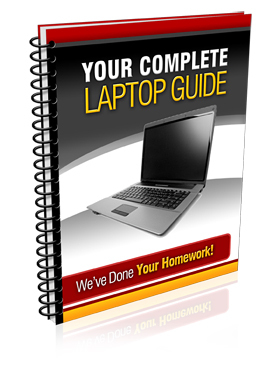 The 12-year-old small business site runs a convenient online Laptop Buyer's Guide for the benefit of its visitors and subscribers. Potential buyers can find Dell's Presidents' Day listings on the special Dell Discount Page located here: http://www.bizwaremagic.com/Dell_Notebook_Coupons.htm or download our comprehensive laptop buying guide here: http://www.laptopcomputerguide.org All products/companies mentioned above are registered trademarks of their respective owners and companies.